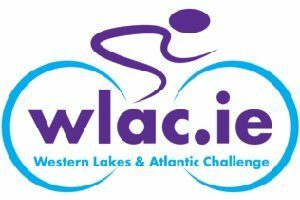 The Western Lakes and Atlantic Challenge (WLAC) is a fun and challenging sportive cycling event with something for the family and a long distance cycle for the endurance athlete. The 144K route, which starts and ends in Salthill, Galway, takes the cyclists through Connemara, is the perfect goal for anyone who wants to get a long cycle done early in the year to set themselves up for a summer of racing, triathlon or recreational cycling. There are four routes available. The 3.5km Family fun cycle is aimed at getting kids on their bikes – under 10’s to be accompanied by their parents. 25km will appeal to beginners and teenagers.